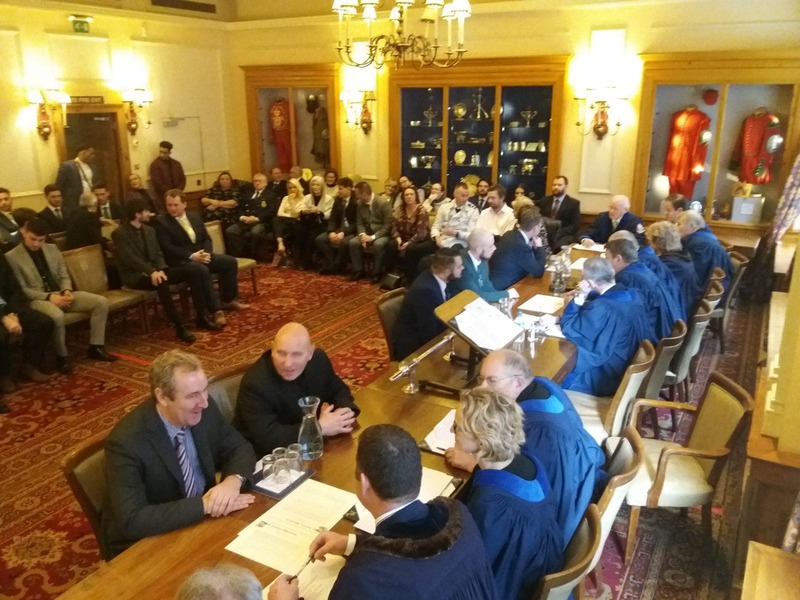 At the Court of Bindings held on the 14 January 2019 we welcomed 16 new apprentices and trainees on to the river. 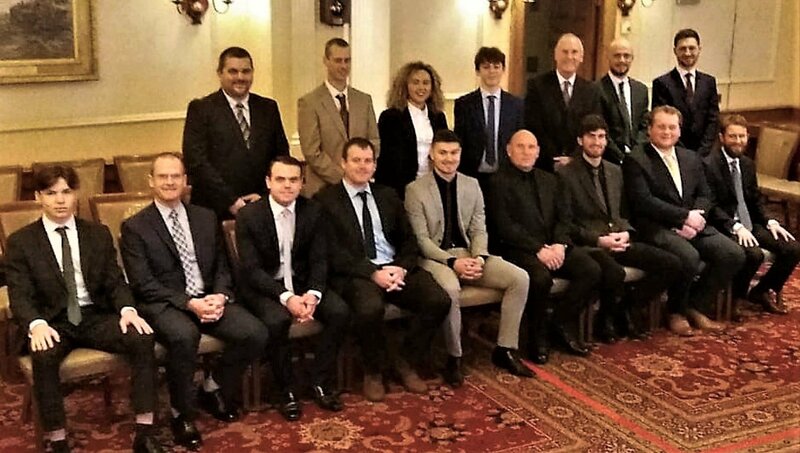 They included: Thomas Allen, Sam Barrow, Anthony Cook, Michael Creasey, Stuart Freeman, Daniel Gilbert, Tyron Hillhouse, Andrew Keywood, Skyla Merriman-Thomas, James Miles, Christopher Murr, Sam Neicho, Christopher Rogers, Paul Sawkins, Oliver Scott and Nicholas Tudor. We wish them all the very best at the start of their careers! Any Freeman interested in apprenticing a young person training to become a Waterman and Lighterman should contact Kelly Lesurf, our Training Administrator,. Reiss Ballard, Noah Barker, Scarlett Barnett-Smith, Ben Brookes, Niall Carroll, Orlando Clarke, Connor Colclough, Thomas Costin, Jowita Dec, Michael Hammond, Andrew Heath, Emily Hickman, Charlie Irwin, Coleman Maassen, Paul Metcalf, Samuel Miles, Jared O’Grady, Charlene Peck, Cameron Prentice, Dylan Whatmore. We wish them all much luck in their future careers on the river. This brings the total number of apprentices bound during the current Company year to 50 – the highest number for more than ten years. Jack Dixon, Ivan Chutorskich, Chloe Fisher, Jason Fisher, William Doherty, Ted Jones, Thomas Creasey, Warren Smith, Harley Williams, Leon Britton, Paul Osborne, Louis de la Hoyde, Alfie Page, Dean Savage, Jack Harper and Kieran Prentice.